Imagine a large cube formed by gluing together 27 smaller wooden cubes of uniform size as shown. A termite starts at the center of the face of any one of the outside cubes and bores a path that takes him once throught every cube. His movement is always parallel to a side of the large cube, never diagonal. 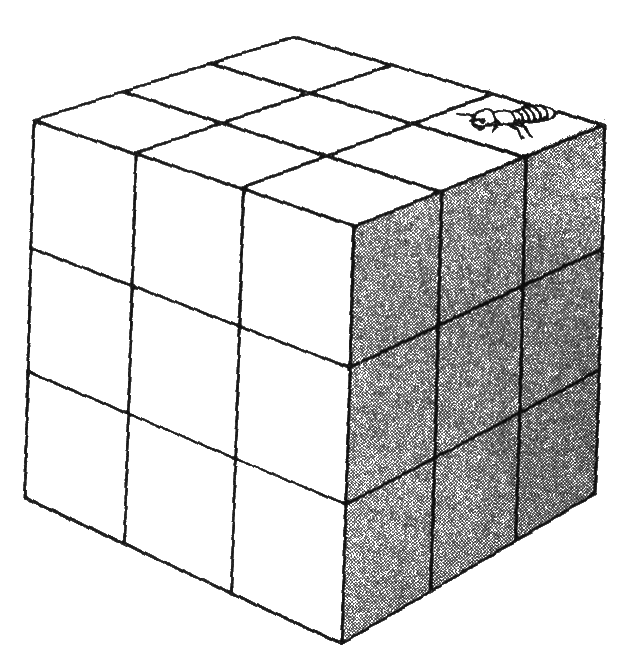 It is assumed that the termite, once it has bored into a small cube, follows a path entirely within the large cube. Otherwise, it could crawl out on the surface of the large cube and move along the surface to a new spot of entry. If this were permitted, there would, of course, be no problem.